Papaya juice is an energy booster and full of nutrients which are essential for maintaining good health. Consumption of papaya juice boosts digestive system, Healthy Lungs, Strengthens Immune System, and Prevents Heart Disease. We know the benefits of Honey and Milk and the Papaya is known for its digestive enzyme papain. This proteolysis enzyme aides digestion because it breaks down complex proteins. Papaya is also a rich source of vitamin A, vitamin C, potassium and fiber. 1. Remove the seeds, Wash, Peel the skin and roughly chop the ripe papaya and banana keep aside. 2. 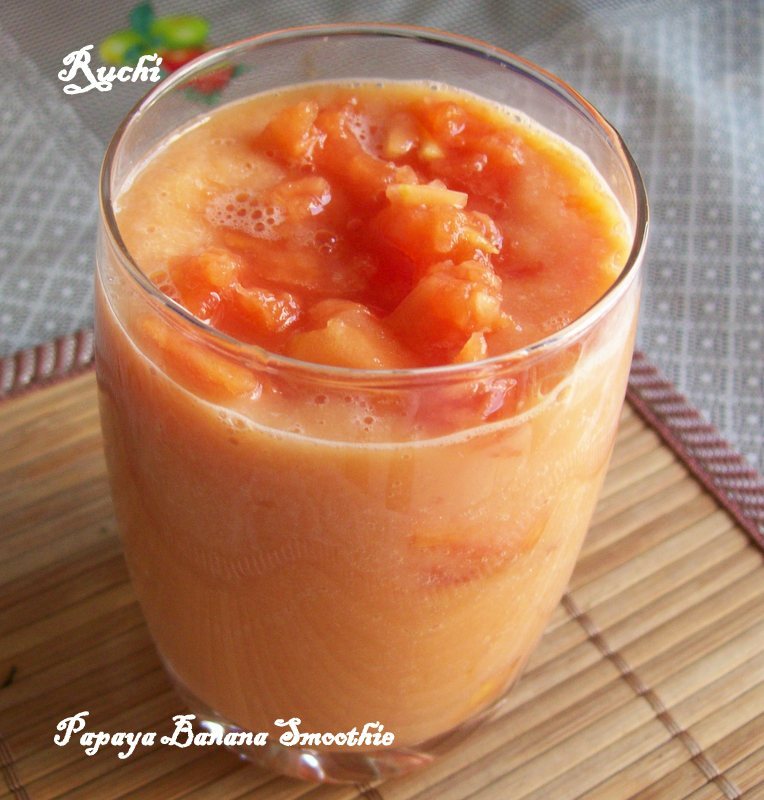 In a blender, add chopped papaya and banana, run the blender to get a smooth juice. 3.Then add milk and sugar/honey and blend it for few seconds. Thank you RC sir:) you can expect more healthy recipes!